This is show number 250 and I could have done some show to celebrate that quarter of a thousand, looking back at nearly five years of Legends of the Rocking Dutchman. Instead, I chose to revive a subject I done quite a few shows on - spelling out the catalog of the Decca 7000 'Race' series. I've done such shows starting in 1940 - but there's been six years more of the label. So here is the birth of that legendary series. 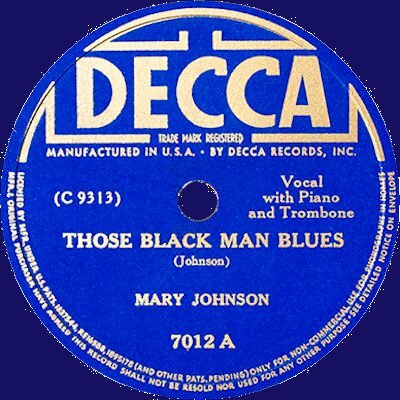 It comes with some information on the Decca company and its producer J. Mayo Williams, and of course great music.